Transfer petition in supreme court is entertained Under Section 25 of the Code of Civil Procedure the Hon’ble Supreme Court has the power to transfer any Case, appeal or other proceedings from High Court or other civil court in one State to a High Court or other civil court in any other State. This power may be exercised by the Supreme Court if it is satisfied that an order under this Section is expedient for the ends of justice. Hence wide powers are given to the Supreme Court to order a transfer if it feels that the ends of justice so require. Need Legal Advice on Transfer petition in Supreme court? Thanks Nitish for solving my case in record time and giving relief in less than 2 years in a property dispute with my neighbor. Advocate Nitish Banka Solved my case with his unique strategy and saved years into litigation. His strategy of solving cases is unique. Whereas experience with other lawyers is like dragging cases for fees. Whereas Nitish is relief oriented Thanks again. My experience with Nitish Banka is that he is trusted Advocate he first solved my company dispute, consumer dispute and now he is helping me in Stratup space. If you want a reasonable lawyer with no compromise on skills. You must hire Adv. Nitish Banka helped in my Transfer Petition case in Supreme Court. By the way I was from Bangalore and I did not had to come to Delhi even once for my case. It has been now 4 years since I am associated with Adv. Nitish Banka. He has handled one of my consumer case against educational Institution. He is trying to put education under consumer protection Act. Other case is my Supreme Court Case..He has handled my Transfer petition in Favor of Husband so well..That it was impossible to get an order but he has done that!! I must tell You. Nitish Banka represented me all the way to Supreme Court and ended my 18 year litigation in a false 498a case. I thanks Nitish for giving me a stress free retired life after 18 Years of my struggle. A short and simple synopsis outlining the grounds you wish seek before the Hon’ble supreme court is a must, your synopsis must be crisp and to the point and relates to only facts which forms the ground for seeking the transfer. Specify the complete details of the case you wish to get it transfer from one court to another also specify the court in which you wish to seek the transfer of the case. Specify the grounds on which you may be seeking the transfer of case the grounds are mentioned below. that husband family is very influential and will hamper fair proceedings. Again being influential is a good ground for having a threat to life. c) being a single women without any support. if there is no support from father side then that is also a good ground for seeking transfer. medical proof should be attached in case of medical ailment. e) old and ailing parents. if wife is not working its a good ground. You must also pray for interim relief of stay of proceedings of the case you wish to seek transfer. Section 406 of the Code of Criminal Procedure gives power to the Supreme Court to transfer criminal cases and appeals pending in one High Court to another High Court or from a criminal court subordinate to one High Court to another criminal Court of equal or superior jurisdiction subordinate to another High Court. The Supreme Court can act under the section only on the application of the Attorney General or of a party interested. 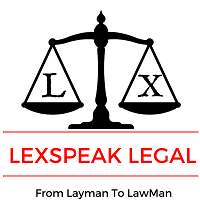 Where an application under Section 406 Of The Code of Criminal Procedure is dismissed, the Supreme Court may, if it is of opinion that the application was frivolous or vexatious order the applicant to pay by way of compensation to the respondent such sum not exceeding Rs 1000. In the aforesaid judgement the supreme court relying on Para-17 and 18 as mentioned below. 17. We are thus of the view that it is necessary to issue certain directions which may provide alternative to seeking transfer of proceedings on account of inability of a party to contest proceedings at a place away from their ordinary residence on the ground that if proceedings are not transferred it will result in denial of justice. Therefore the aforementioned guidelines were issued to all the High courts to make arrangements for video conferencing instead of transferring the petition, therefore dismissing all the transfer petition filed in the Hon’ble Supreme Court. For husband the judgement of Krishna Veni Nagam vs Harish Nigam is a valid defense for husbands for defending transfer petition supreme court. a. Manipulation of court records. d. Petition filed without jurisdiction by reading petition only. Transfer petition in supreme court is entertained Under Section 25 of the Code of Civil Procedure the Hon'ble Supreme Court has the power to transfer any Case, appeal or other proceedings from High Court or other civil court in one State to a High Court or other civil court in any other State.